Google has removed the 'View Image' option from image search. Google has made a change to image search. This change seems to be small but its impact will be large. Google has removed the option of 'View Image'. That is, whenever you go to a picture, to see the image, there was an option of viewing image, which will no longer be seen. It was useful for Users. This button was quite useful for users. When you search a picture, it is possible that you will want to use it anywhere. Now you have to take more steps to save the image. Google had to hear a lot of criticism from photographers and publishers in this case. This is because in this way the picture would have increased the possibility of theft. Apart from this, there have been some changes. Google also announced these changes after the deal of copyright information with Getty Photos. Behind this, Google's goal is either to stop people from taking pictures or send to the website where the image is. That is because the website can be earn revenues from the ad. This is good news for publishers. But it can be a little hassle for the users. Now you have to go to the website to find the image. Websites sometimes close the option to save the image by right-clicking. Still, users have the right to open a picture in the new tab and right to view images to take the picture in full size. But the 'Visit Site' button is now more accessible so users will most often land on the website. 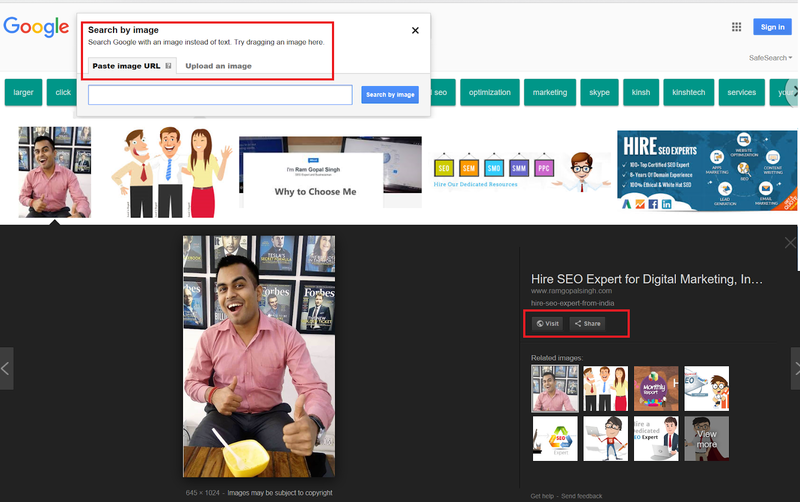 At the same time, Google has removed the 'Search by Image' option. However, Google has taken this step to keep photographs protected and to give traffic to websites but still, the user will have a slight hassle with it.